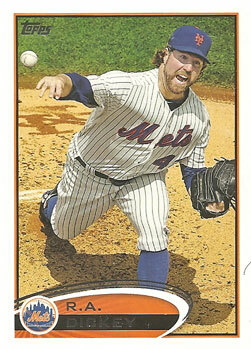 It’s becoming clear that Topps now thinks of the New York Mets as a second-tier team. 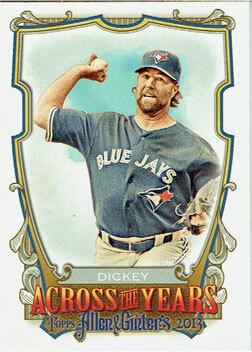 I'm pretty sure R.A. Dickey is a better choice for a spot in a baseball card set than Jason Bay in 2012, but Topps does not agree. While there are 13 Mets cards in the 33o-card Topps Series 1 (14 if you count the National League Batting Leaders card), there are only three in the 220-card Topps Opening Day set that just came out (175 Jason Bay, 187 David Wright and 195 Ike Davis). To compare, there are five Pittsburgh Pirates in the Opening Day set (17 Pedro Alvarez, 34 James McDonald, 144 Andrew McCutchen, 152 Neil Walker, 168 Jose Tabata and 193 Casey McGhee). But then according to a preliminary checklist for this summer’s 350-card Allen & Ginter set, there are only five Mets cards to look forward to: 114 Johan Santana, 121 David Wright, 163 Tom Seaver, 164 Ike Davis, and 191 Jason Bay. 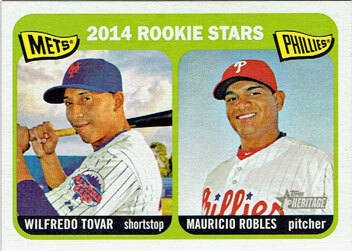 I can’t exactly argue that Topps is neglecting a lot of players with star power, but it does look like I’ll be saving money that I might otherwise have been tempted to spend on 2012 baseball cards this summer. 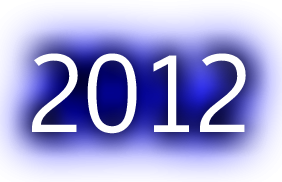 It’s still the middle of winter, according to the calendar, but 2012 baseball cards are just around the corner. 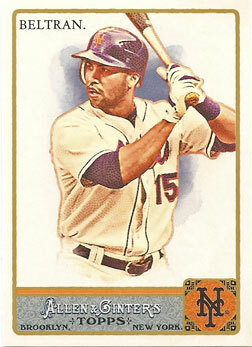 Sports Collectors Daily shared the checklist for the 2012 Topps series one set last week. Here’s a look at what Mets fans can look forward to when the cards arrive on February 2nd. It’s unfortunate that Angel Pagan was included in Series One, but at least the checklist planners held out Jose Reyes for Series Two. This year’s Allen & Ginter includes some great baseball cards. It also includes plenty that make me wonder what the photo editor was thinking. The Mets won their fifth straight game last night, defeating the Washington Nationals 8-5. Jason Bay had another two-hit game and is actually starting to remind me of the guy who used to play for Pittsburgh. D.J. Carrasco came on in relief and got a couple of key strikeouts in a big spot. The 2011 Mets keep succeeding because they’re getting contributions from everybody. Chien-Ming Wang had a rough go of it in his first major league appearance since July 4, 2009. I’m glad the Mets beat him, but I was hoping he’d have a better night. I’m even more anxious about Johan Santana now. The Phillies continued to empty out their farm system, acquiring Houston Astros outfielder Hunter Pence for four minor leaguers. Among the players going to the Astros are Class A first baseman Jonathan Singleton and Class A pitcher Jarred Cosart, Philadelphia’s top two prospects. Pence is going to help the Phillies’ lineup now, but I think they’re going to look an awful lot like the 2010 Mets in a few years. Beckett.com shared some preview images from the 2011 Topps Allen & Ginter baseball card set today. I loved this set when it debuted in 2006 because it was so different than anything else on the market. I loved it more in 2007 when I was able to actually get more than a few cards. Since then, the design has felt a little stale. 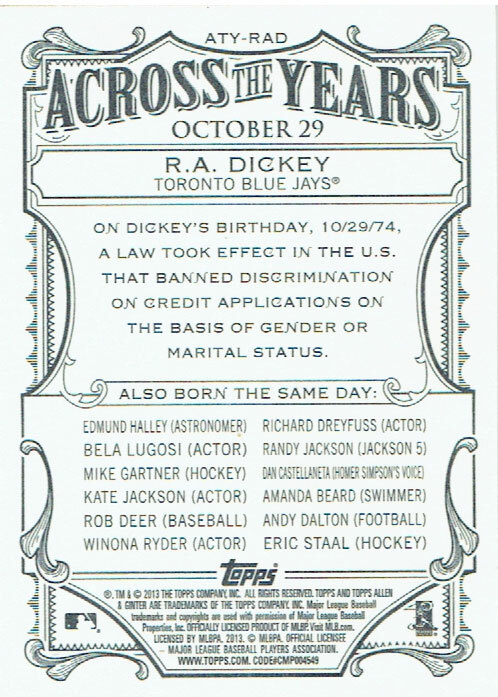 This year, Topps addressed that problem with the first major changes to the base card appearance. I like it, and I’m looking forward to collecting the cards later this summer.